Ivanka Trump is reportedly courting Nooyi, who headed PepsiCo until last August. Indian American Indra Nooyi, the former CEO of PepsiCo., is being considered by the White House to be the next World Bank president. The news was first reported by The New York Times yesterday. “She has been courted as an administration ally by Ivanka Trump, the president’s eldest daughter who is playing a role in the selection of a nominee,” it said. Nooyi stepped down as PepsiCo CEO in August 2018, after serving in the post for 12 years. The current president of World Bank has announced earlier this month that he would step down from his post in February. While it still remains unclear if Nooyi would accept the position if it is offered to her, the news has definitely created buzz. The White House on Monday had announced that Ivanka Trump would also be playing a role in the selection of the next World Bank head, a move which drew some criticism. Nooyi had joined Trump’s White House business council at the beginning of his administration, but she resigned from the forum in August 2017, along with many executives who quit following the president’s controversial comments on the white supremacist violence in Charlottesville, VA.
Nooyi had also made a few negative comments after the 2016 elections, which may be seen as possible roadblocks to this position. While speaking at the NYT’s DealBook Conference in 2016, she said: “Our employees are all crying. And the question that they’re asking, especially those who are not white: ‘Are we safe?’ Women are asking: ‘Are we safe?’ LGBT people are asking: ‘Are we safe?’ I never thought I’d have had to answer those questions”. 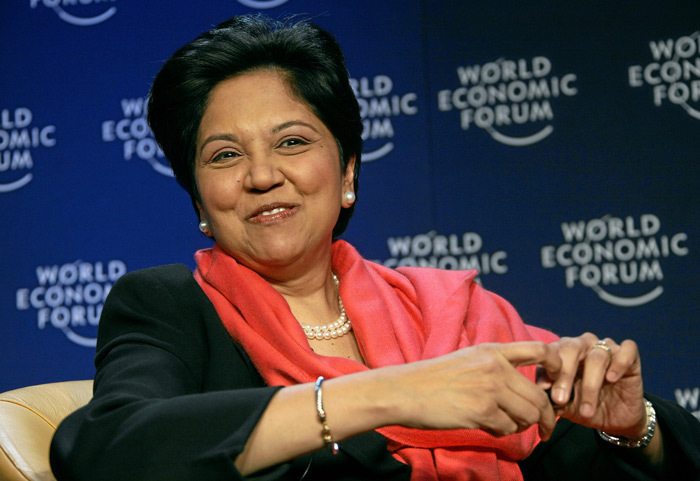 However, a PepsiCo Spokesperson later told Fortune magazine that Nooyi had misspoke. She was referring to the reaction of a group of employees she spoke to who were apprehensive about the outcome of the election. “She never intended to imply that all employees feel the same way,” the spokesperson said.